The national conference on pain for frontline practitioners. PAINWeek is the largest US pain conference for frontline clinicians with an interest in pain management. The regional conferences on pain for frontline practitioners. Depending on the location (1 or 2-day meetings), 6 to 12 hours per conference of CE/CME credit hours are presented. Watch like you’re there in person. Are you a busy pain management practitioner looking for practical knowledge and tools to utilize in your daily practice? Then PAINWeek OnDemand is for you! Get your Daily Dose of pain management news. This section of our Website houses insights and epiphanies from our stellar PAINWeek faculty. If you prefer smaller plates of information, then Brainfood is the place to go! Listen to PAINWeek Podcasts featuring faculty presenting courses from previous PAINWeek conferences. 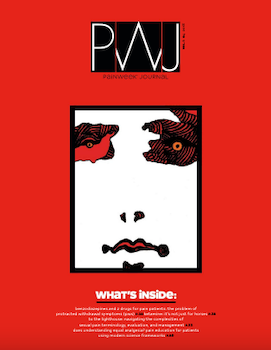 PWJ - PAINWeek Journal, like our website, is meant to extend the energy and experience of the national conference throughout the entire year. Each issue presents articles developed by our PAINWeek faculty, adapted from their respective conference presentations.